ESPNCricinfo had started SmartStats just before this year's IPL which gives more insightful data. 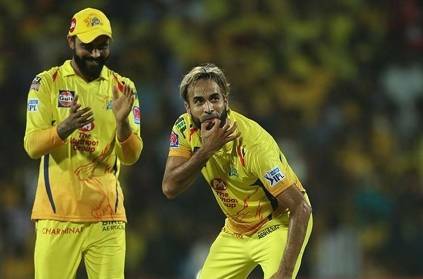 Imran Tahir picked up 4 wickets for 27 runs against the KKR in Kolkata which was given a SmartStat of 5.4, which is also the highest of this year's IPL so far. Alzaari Joseph who had a dream debut picking up the best figures in the history of IPL with 6/12 got only 4.9. This is because the Smart stat takes into account the quality of batsman, his score and the state of the game when dismissed. In that context, Imran Tahir's wickets 4 wickets were more valuable as he picked up KKR's top batsman in Chris Lynn, Nitish Rana, Robin Uthappa, and Andre Russell at crucial stages. Alzaari Joseph's didn't get as many points as his 3 of the 6 wickets were Rashid Khan, Bhuvneshwar Kumar and Siddarth Kaul. This page contains news relating to various facts and events. The views are generally about current affiars and general topics in diversified areas such as political, international, national, and regional issues, sports, health, travel, lifestyle, technology and business. People having similar interets on the above topics will find this page useful. SmartStat shows Tahir's spell more valuable than Joseph's spell | Sports News.